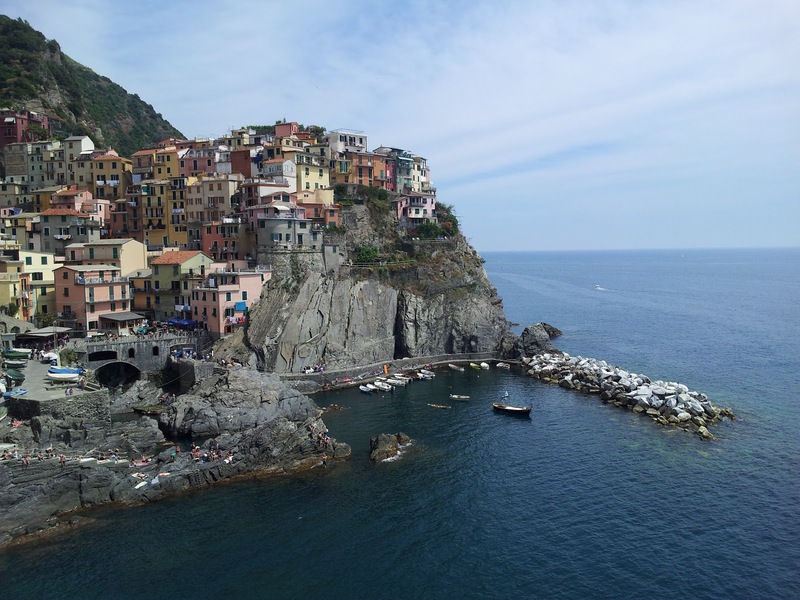 Cinque Terre, located on the Mediterranean coast of northwestern Italy is about an hour and a half drive away from Pisa. And I cannot stress how highly (HIGHLY!) I recommend this place, especially if you have a car and are doing a tour around Florence and the Tuscan countryside. 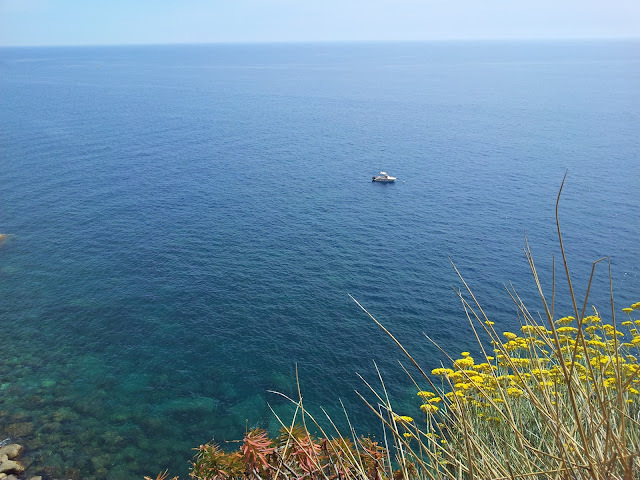 It was a perfect detox from the heat, walking, sightseeing from the mainland. Don't get me wrong, I loved learning about the history and art of the great Roman empire but sometimes your brain just wants to wander and be nothing but mush for a little while. 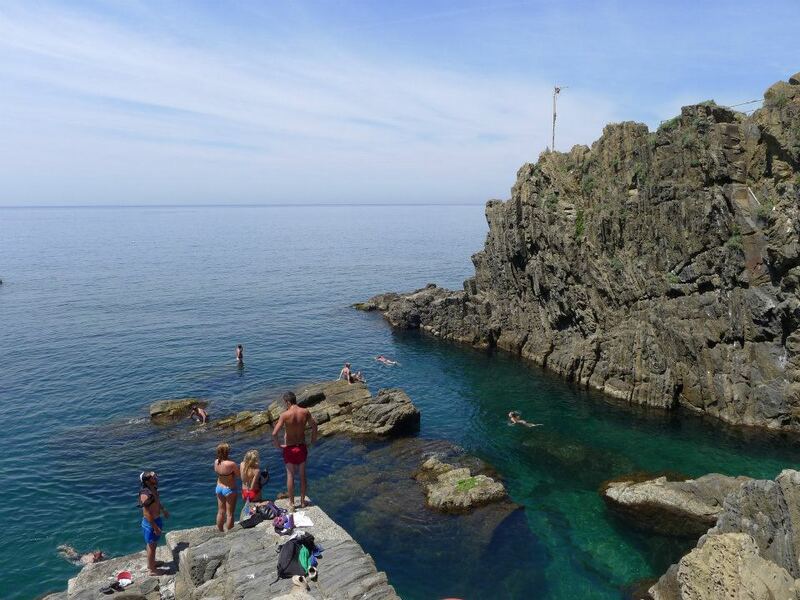 Cinque Terre literally means five villages--consisting of Monterosso, Venazza, Corniglia, Manarola and Riomaggiore. Unfortunately, we only scheduled to spend a half day here and thus only got a chance to explore two of the five. I suggest spending at least a full day and night here to fully enjoy what it has to offer. The GPS took us to the largest village, Riomaggiore. The drive down to the village was breathtaking -- a winding road right off the cliff. I don't think I've seen such a vast blue expanse in my life; it made my head spin. Once we arrived, we learned that the only way to travel between villages is either on foot, by bus or train. Private cars are not allowed. Each village is rather isolated and I guess the terrain really doesn't allow for much transportation between each village. 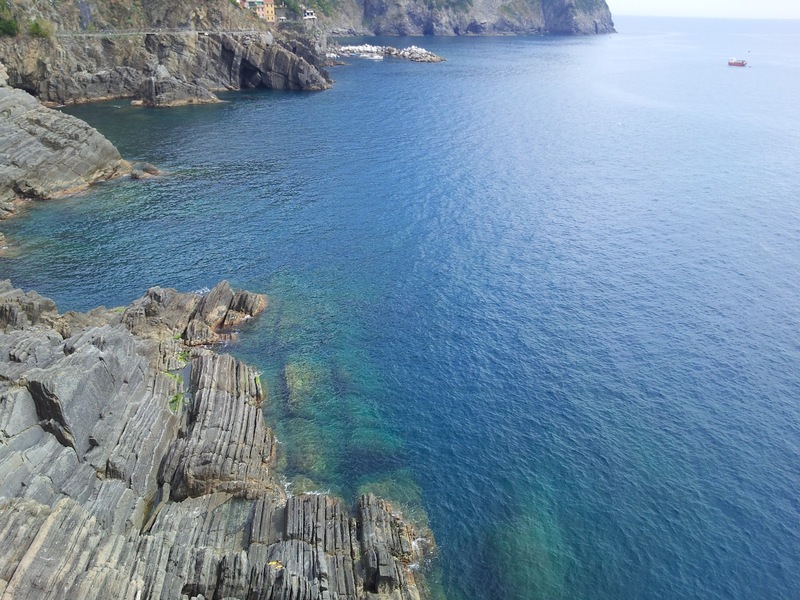 I recommend you do the walk between Riomaggiore and Manarola. That's where you'll find the lover's seat and the lover's lock (basically a wire net where lovers chain tiny lockets onto). Slightly too cliche for me, but hey, what's a tourist destination without some cheese! 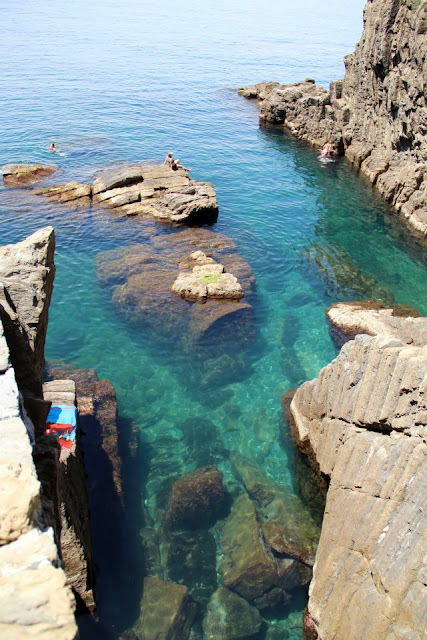 Lastly, if you're going in the summer, bring a swim suit! That was definitely the biggest regret of my trip. Just look at how clear the water is!! Until next time, Cinque Terre!